Uganda is one of the greenest countries in Africa. Studded by parks where big animals such as mountain gorillas live, it is well contextualised by the author of the book. Marco Denicolò jumped into the saddle at the beginning of 2015 and let himself be carried, with support from friends of the Marco Polo Team, through mountains, plateaus, forests, lakes, and through contact with locals, as can only be done by bike. This mysterious Africa is described with black and white pictures, with its typical light, contrasted clear skies and lush vegetation. The meeting with the gorillas made the author rigorously stick to using no colour. Precautions? A support Jeep and armed guards in the parks. That was the only way Marco could enter some of the parks on two wheels…with the only recommendation of never turning off the engine and never stopping. The publication is also interesting for its connection with the association “Medici con l’Africa CUAMM”. The donations collected from the book’s sales contribute to the purchase and fitting out of motorbike ambulances (Bikes for Africa project), the only means of transportation able to tread on this African terrain. 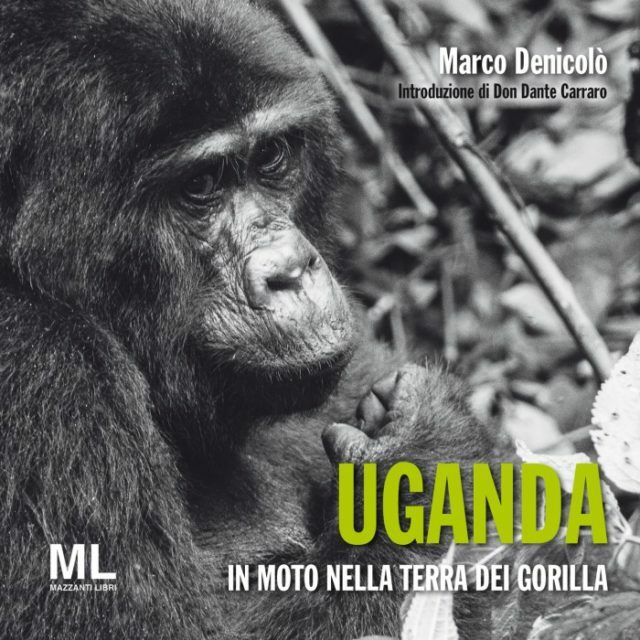 The book, through its many pictures, allows to relive and learn about the stages of a really adventurous trip in Uganda, followed closely by Marco Polo Team (association that aims at promoting travel culture, mainly by bike, especially in areas far from the classic tourist routes, combining raids and trips with aimed charity initiatives). Marco Denicolò, born in 1961 and currently residing in Padua, is passionate about photography and bikes. In 2010 he was co-author with Michele Orlando of: “Da un capo all’altro del mondo” [From one end of the world to the other], published by Mazzanti Libri, it was the result of a bike Raid which began in South Africa and ended 67 days later in Norway. In 2013 he published the photographic book: “Vietnam. Nelle terre estreme” [Vietnam, In the extreme lands], report of an adventure, published by Marcopoloteam. 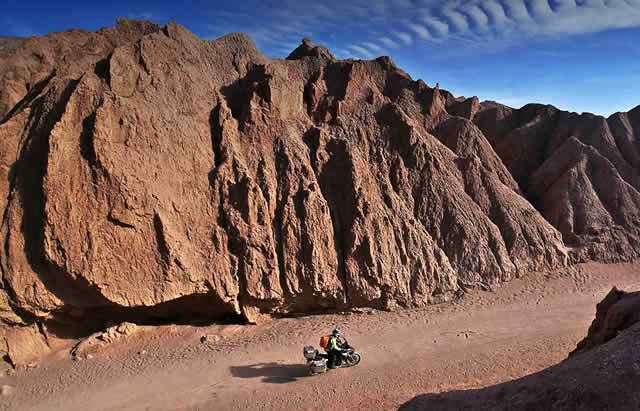 In 2014 he published another photographic book: “Ladakh Il Piccolo Tibet – In moto sul tetto del mondo” [Ladakh, Little Tibet – On a motorbike on the roof of the world], also published by Mazzanti Libri.